Selected by the North Bay Business Journal as one of the Best Places to Work for the twelfth consecutive year, we know that our most valuable resource is our team. Our employees work on a variety of interesting and challenging projects that help improve the environment, the quality of the air we breathe, and other aspects of people's lives. Whether or not we have a job open that matches your talents, we welcome applications from intelligent, talented, and qualified people who want to help make a difference in the world. Sonoma Technology is an equal opportunity employer. We maintain a work environment free of discrimination based on race, color, creed, religion, gender, disability, age, sexual orientation, national origin, marital status, familial status, military status, status with regard to public assistance, or any other protected status. Our Affirmative Action Plan is available upon request. For more information about our company goals and objectives, visit the STI Charter. "We look for people who have a flexibility in outlook, have a passion for learning, absorb information quickly, and can make sense of it using a variety of tools. The problems we address are constantly changing, and we want people who are able to adapt to different situations." Innovation is at the heart of every project. Our team works together to find effective and efficient solutions tailored to meet each client’s needs. We offer a range of learning opportunities. We encourage and prioritize career development through professional conferences, subsidized technical training and development classes, in-house academy sessions hosted by other employees or invited speakers, and informal lunches with colleagues/mentors. As an employee-owned company, we don’t answer to shareholders or external investors. We draw upon our internal resources to make the big decisions that drive our company. Every employee has a voice and we value independent thinking. STI is one of the best places to work in the North Bay, according to the North Bay Business Journal that has selected us for the award for 11 consecutive years. Situated just 40 miles north of the Golden Gate Bridge, STI's main office is located in picturesque Sonoma County. 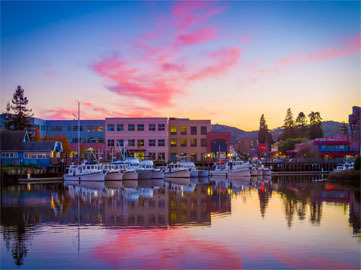 Petaluma offers the excitement and culture of the San Francisco Bay Area and the charm and natural beauty of the North Bay (Marin, Sonoma, and Napa Counties). 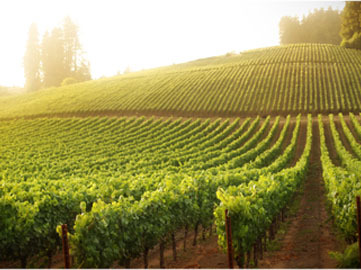 Scenic Sonoma and Napa Valleys are home to many famous wineries and are located within 45 minutes of San Francisco. The North Bay area boasts over a dozen state parks, beaches, and reserves including Muir Woods National Monument, Golden Gate National Recreation Area, and Point Reyes National Seashore. Sonoma Technology is committed to providing employees with a comprehensive benefits package with protection for participants' and their families' health and financial security at an affordable cost.